Dine-in, Drive-thru, or Carryout with Packo’s. Tell the cashier or waitress you’re supporting this cause to make sure 20% of the proceeds are donated to Women of the Old West End. Enjoy all of your Packo’s favorites knowing you are helping support this great organization. *Does not include alcohol or gratuity. **Not valid with any other promotions, discounts, coupons or loyalty. 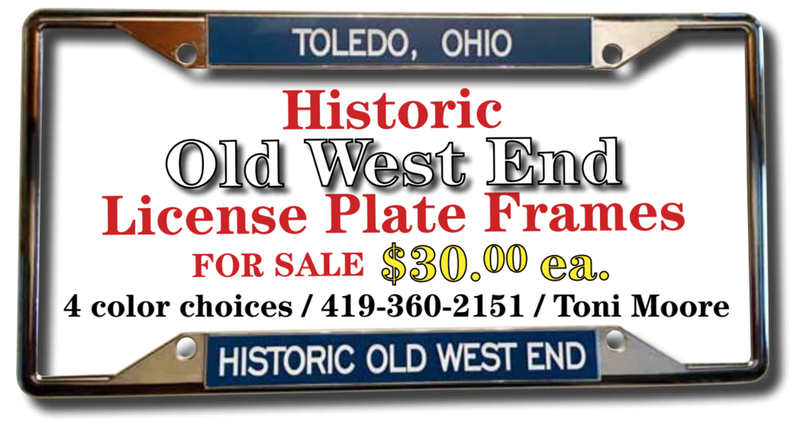 Get your OWE license plate frames for $30. Four (4) color choices. Contact Toni Moore at (419) 360-2151. Support us when you shop on Black Friday and Cyber Monday. #StartWithaSmile at smile.amazon.com/ch/34-1299832 and Amazon donates to Women of the Old West End Inc.